Prior to this 4D3N trip to seoul, we had stayed in Hongdae and Isadong. So when S suggested us to stay in Myeongdong, we were a little reluctant because Myeongdong is a tourist street. However, after some research, we went ahead because the location is good. Thanks to her, we found Solaria Nishitetsu Hotel Seoul. We went ahead to book because of the high review they received on google. 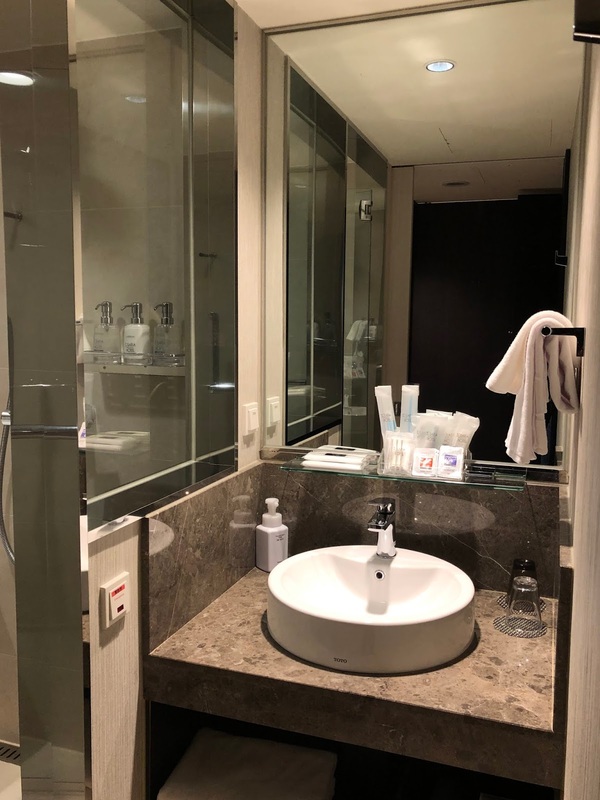 Solaria Nishitetsu Hotel Seoul is located in the middle of 2 station – Myeongdong station and Eulijiro 3-ga station, making it very accessible and convenient. 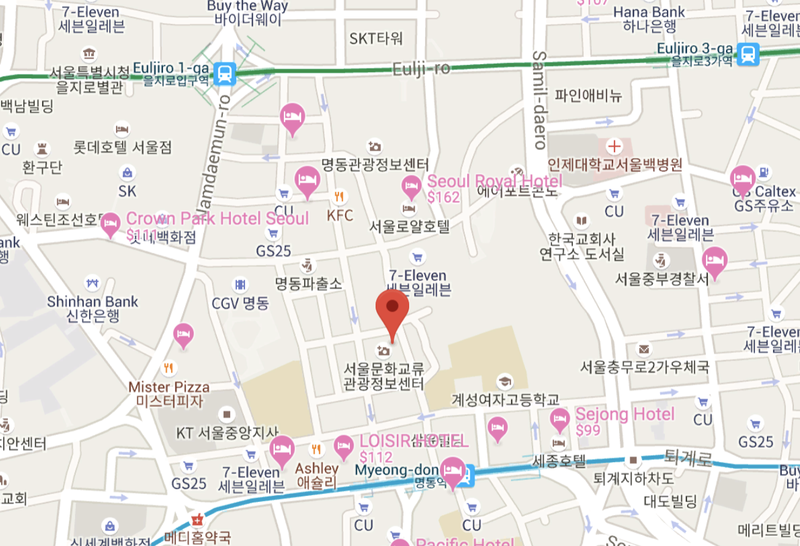 We love the location because it’s right smack in the middle of Myeongdong street! It’s so vibrant at night! H can go back to the hotel and rest while I continue my shopping in Myeongdong. Other than shopping, you can find many restaurant and street food there! However, if you are looking for some authentic Korean experience then might not be the best options. We arrived very early in the morning and expect to wait till 3pm before the check-in time. Thankfully, our rooms were ready! Perks of visiting during the off-peak season! The staff at concierge was really helpful and friendly! Check in was fuss-free! Initially, we were a little hesitant about staying at the hotel because it looks quite old from the picture. Thankfully, the room was good! The room is clean and bigger than we had expected. The bed was huge and comfortable! Two super single joint-together! Although it might be a challenge to open two huge luggage at the same time. The hotel room is equipped with Japanese-style furnishing which H & I love it! We love the automatic toilet bidet system. They even have a bathtub in the room! The hotel provides the basic vanity kit which was nice. However, the towels look pretty old. Watch our video below! 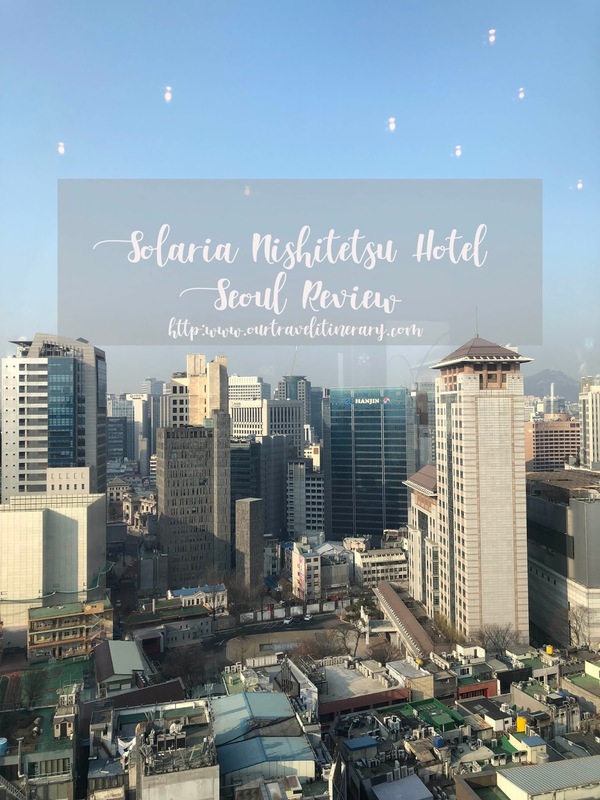 Overall, we enjoyed our stay at Solaria Nishitetsu Hotel Seoul. 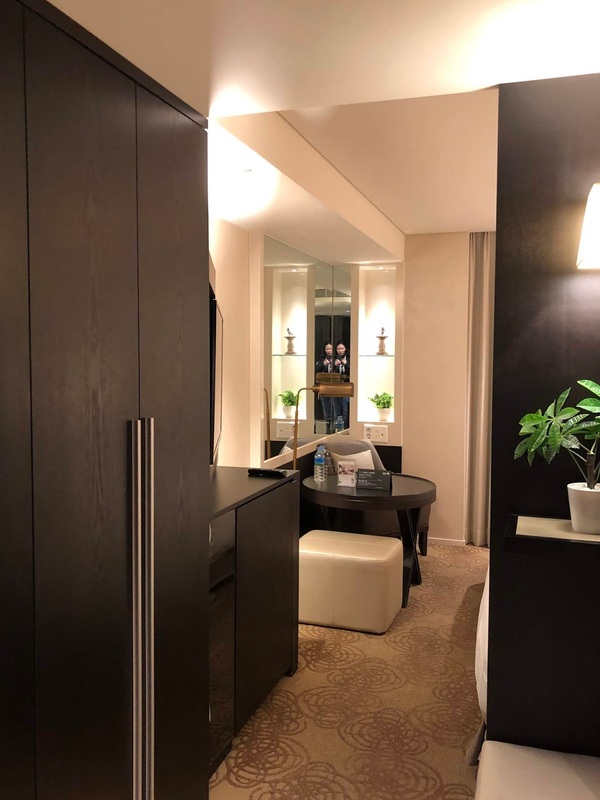 For the location, room comfort and friendly service, we thought it was worth the money we paid! We took the non-stop Arex train to Seoul station and transfer to Myeongdong station. Alternatively, you can take the airport bus. The hotel is located opposite of the popular Myeongdong gyoza main restaurant. So, if you are lost. Just ask the passerby where is the restaurant.